You may be asked to provide additional information to prove your identity if our system detects fraudulent activity. This mainly applies to high value goods such as mobile phones. If you have any questions about placing an order with us then please do not hesitate to contact our customer service team on 083-8570336 , info@wirelessphones.ie or on our live web chat. PLEASE NOTE: Orders placed after 4pm, will be processed the following day, adding 1 working day to the delivery service. For orders placed on a non-working day (Saturday or Sunday) please add 1 working day to your delivery date. Due to the volume of deliveries, please allow a full 5 working days before contacting our customer service centre. All delivery times are approximate and can be delayed due to circumstances outside of our control. Our Click & Collect service is FREE. Click & Collect is easy way to check the stock, latest price and buy products at your local Wireless branch. Click & Collect is available for all products and if in stock at your selected branch, items will be available for collection and held until you pick it up. Our Stores can be very busy so stock can move quiet quickly. If you wish to buy a particular products that is displayed on our website. We recommend that you contact our customer service team on 083-8570336 , info@wirelessphones.ie or on our live web chat to confirm that item is in stock. To Reserve your products, simply choose Click & Collect as checkout method and enter your branch. Our system will than check the latest stock at your nearest branches and if items are in stock you can buy them immediately. Alternatively, if the items are not in stock, our system will offer you a later collection date, if available. Once you reserve your item by purchasing it you will receive e-mail containing your proof of purchase. Do not forget to bring your proof of purchase email with you when you visit our branch to collect your order. No deliveries can be made on Bank/ Public Holidays. Any deliveries scheduled to arrive on a Bank/Public Holiday will be delivered the following working day. In addition, our warehouse is closed on Bank/ Public Holidays so orders placed on a Bank/ Public Holiday will not be despatched until the following working day. Here at Wireless we use a stock indication system on our web site which informs you if we have the selected item in stock or if it is a special order item.Stock indication status shown on our website is updated every 2 hrs and actual stock at our warehouse may vary to that shown on the site (for example, where other orders are received before your order can be processed). Should you order an item where this has occurred we will send you an e-mail advising you of the changed status. Products displayed as being 'in stock', means we have good stock levels at our stores and Warehouse and are available for despatch in our normal delivery timescales. Items displayed as being 'Notify me when in stock' are not in stock at our stores, but may be in stock at our Distribution Centre. To notify us that you are interested in this product, please do the following steps. 1. Simply click on the button that says "Notify me when available"
3. Enter your email address and once you express an interest in a product then we will notify you as to when that item is in stock. 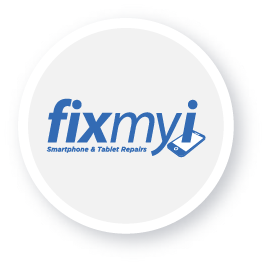 Repair item displayed on our website as out of stock need to be pre-ordered with us because there are hundreds of phones and it isn't possible for us to stock all parts. 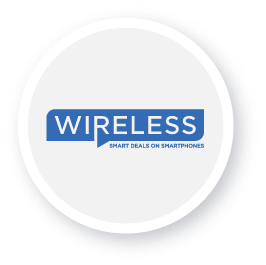 We display the price of repairs on our site to give you an indication of what the potential price of that repair is.If you wish to pre-order or enquire about a particular repair then please contact our customer service team on 083-8570336 , info@wirelessphones.ie or on our live web chat. In the unlikely event of your product being lost or damaged in transit, claims must be made in writing. In the case of non-delivery, please wait 10 days in case it has been delayed. Damaged goods must be retained in case we need to arrange for inspection. Once your parcel has been attempted for delivery twice and a third has been unsuccessful a 3rd attempt has been made we reserve the right to levy an additional charge to re-arrange a further delivery. Any additional instructions to the carrier must be agreed by Wireless. All delivery costs include VAT at the current rate and are per order, regardless of the number of boxes.